After Christmas Buys Put to Use, January Rudolph Day!!! I am posting this on the 25th of January, Rudolph Day!! The 25th of each month is considered Rudolph Day by many and I hope to do a post relating to Christmas, here on my Christmas Blog ,each month!! 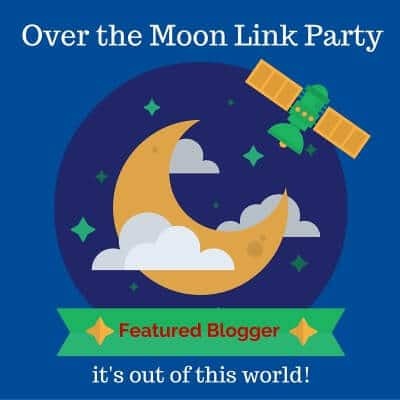 I want to Thank Marilyn, over at Marilyn's Treats, and all the hosts of the Over the Moon Party for featuring my post, New Christmas Buys for Christmas 2018, from last week's party!! Thanks so much, Marilyn and all the hosts of this lovely party!! In this post, I want to share a few more of the things that we bought after Christmas and that I plan on using to decorate for other Holidays and Seasons and not for Christmas!! Joe did some shopping after work yesterday in Wegman's and he found this tea pot on Clearance for $6.00!! I love my new tea pot!! You can see that the birds match 2 other bird figurines that I already had!! He also had a coupon for 20% off which took the price down even lower!!! They were $140, marked down 70% to $42!!!! And Joe had a coupon!! Taking them down to $37.84!!!!! Now what am I going to do with these?????? I thought they would be perfect for the Basket that I usually make up for the raffle at our church's Harvest Tea!! It is a set of 4!! I think that will make a nice basket for the raffle , don't you????? And I hope that you will return to visit here for next Rudolph Day on February 25th when I hope to post Part 2 in my series of Where DO I Put It all?, sharing our attic with you all!!!!! !